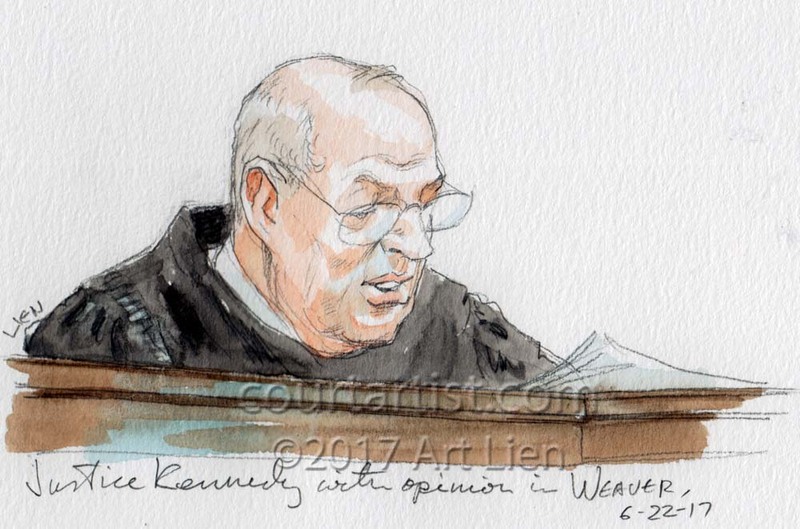 June is when the Supreme Court releases the last of its opinions in cases argued earlier during the term, especially the harder to decide cases. 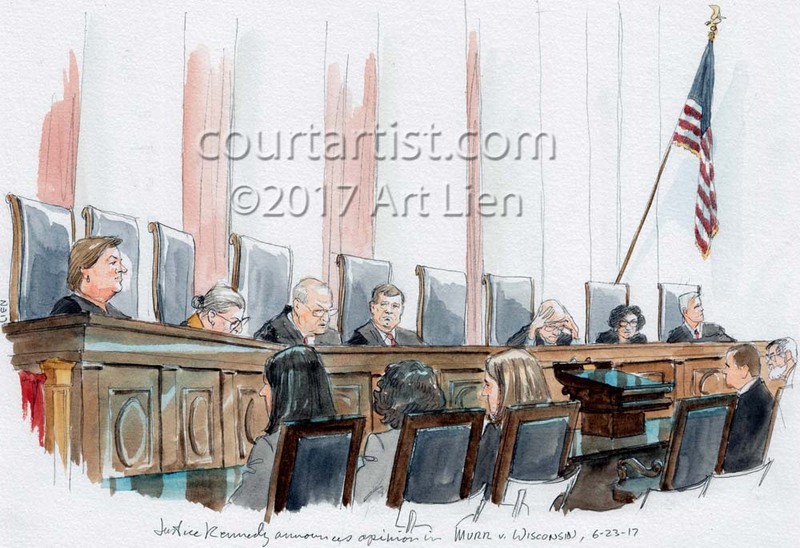 This term big news on the last day was about a case yet to be argued, when the Court agreed to hear Trump’s travel ban in the next term. 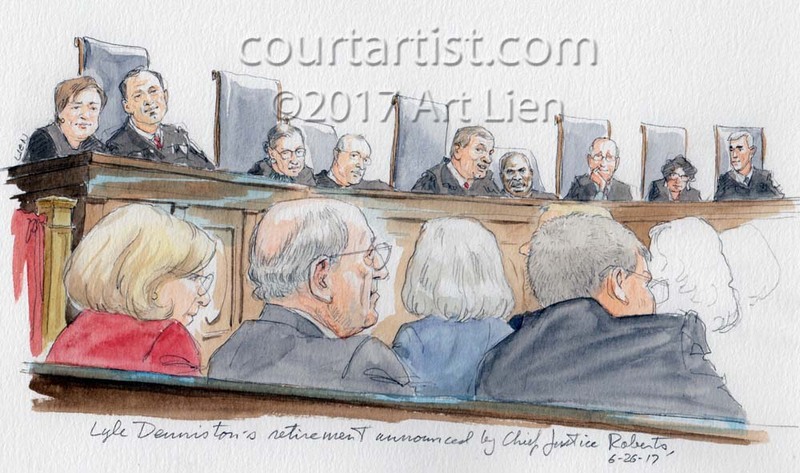 In other Supreme Court news, after announcing the disposition of the remaining cases, and other housekeeping matters, the Chief Justice noted the retirement of Lyle Denniston, a veteran of nearly 60 years covering the Court and known as the dean of the Supreme Court press. 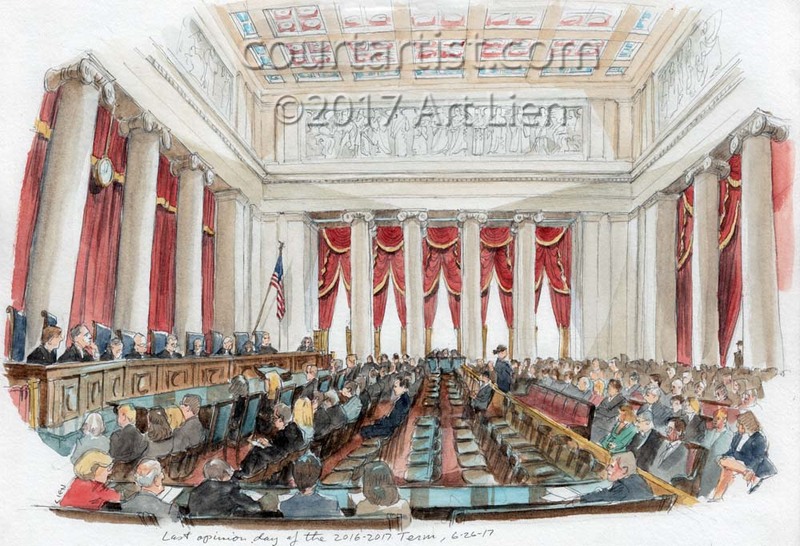 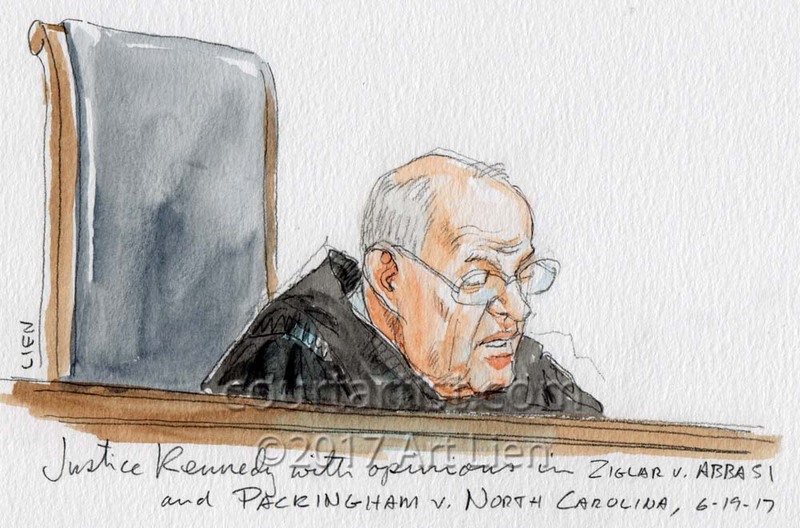 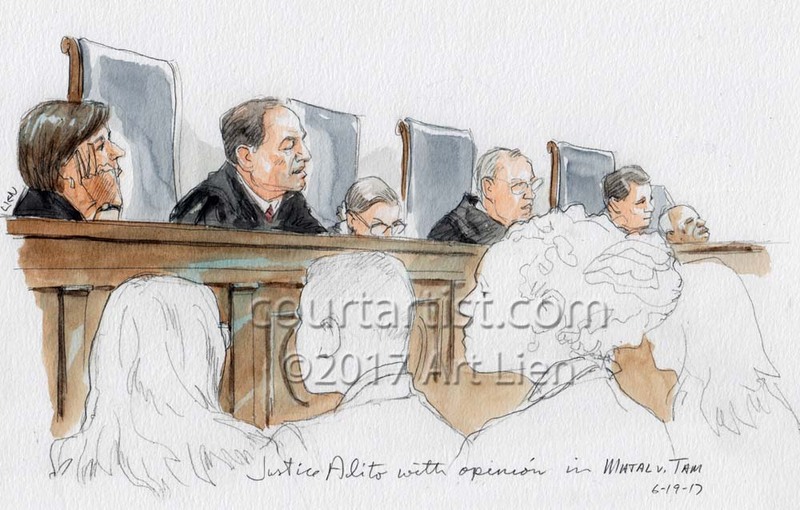 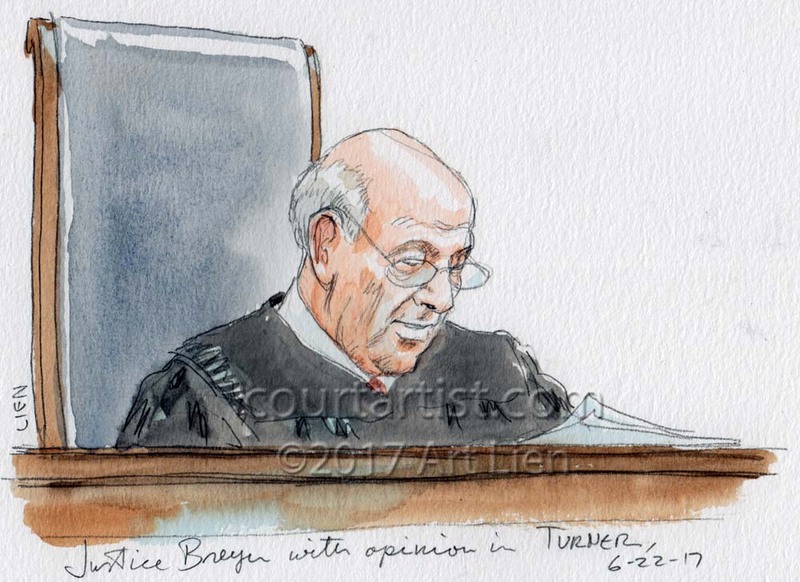 Here are some sketches from the Court’s June opinions. 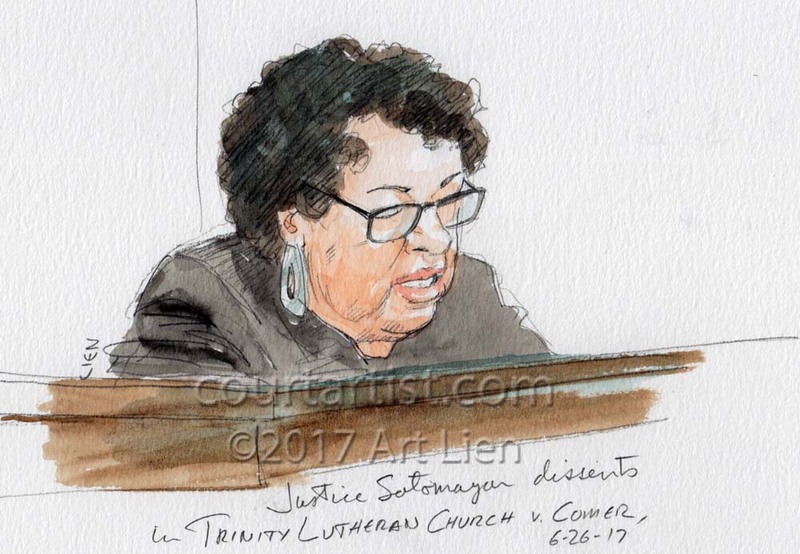 More June sketches are on my online archives. 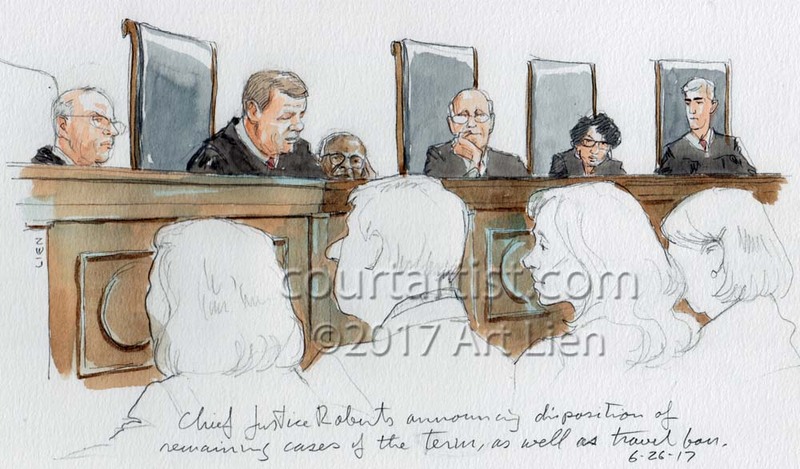 Chief Justice Roberts announcing disposition of the term’s remaining cases, as well as the travel ban.